I just love Valentine’s Day crafts, they are definitely my favourite! There is so much you can do with a heart shape! You can turn them into flowers, leaves, love bugs or create simple art with just the shape of a heart. You can paint with any colour and use a variety of items to create texture in the paint. I ended up experimenting and made 3 different ones. You can even just paint around the heart with a paintbrush. I did that and then took a toothpick and made swirly patterns in my paint. A fork would also work to make straight lines or wavy lines. The second one I did was stamped with a sponge but my favourite is still the dots we made with baby cotton buds. It would look beautiful in any little (or big!) girls room. You can frame it and turn it into a beautiful piece of artwork as a gift or make it into a loving Valentine’s Day card. We shared this activity with our friends at Sassy Mama earlier this week. 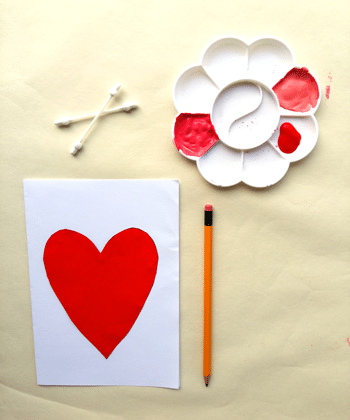 And if you enjoy doing this Valentine’s Day art with your kids, check out these fun Valentine’s Day cards your kids can make at home! 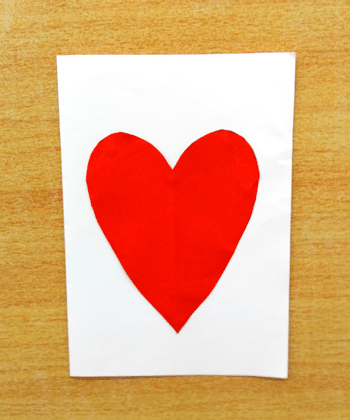 Fold your scrap paper in half and draw half a heart shape against the fold. This will give you a perfect even heart shape! 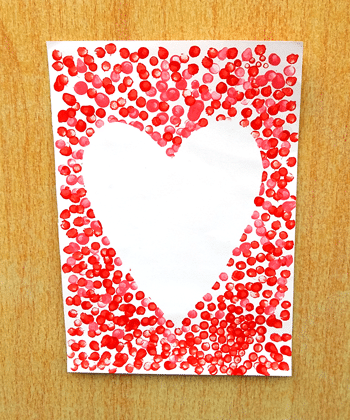 You can make the heart any size to fit your paper size, the bigger it is the less stamping you have to do! Put small amounts of Blu-Tack around the edges of the heart so the heart will stick down well. You don’t want any paint to creep under the edges of the heart otherwise, you won’t have a perfect heart shape! Place the heart in the middle of your page. Now press down firmly on all the pieces of Blu-Tack. 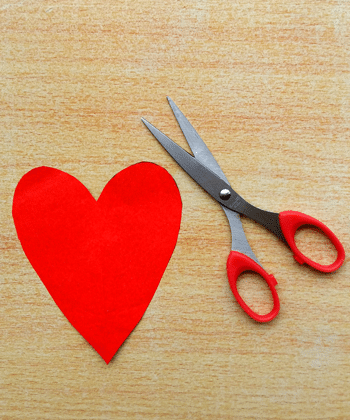 Make sure the heart is positioned exactly in the middle of your page! Put a small amount of paint in a paint tray. Now for the fun part, let the stamping begin! Stamp dots all over the page. Make sure you stamp enough around the edges of the heart so it creates a nice defined heart shape. I purposely stamped onto the edges of my heart. Leave to dry. 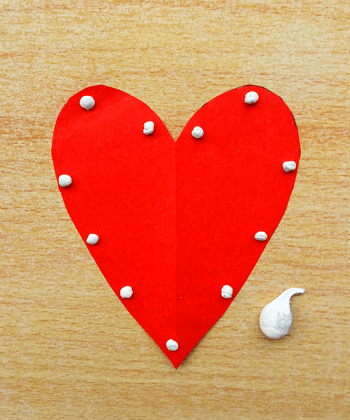 When the paint is totally dry, carefully peel off the heart shape. 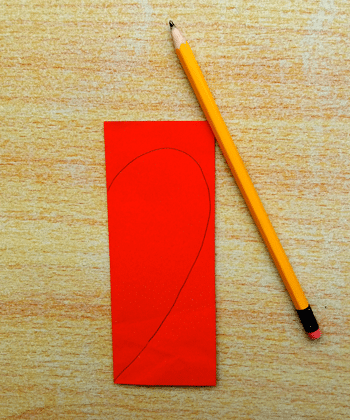 Now use a piece of Blu-Tack to take off the pieces stuck to the page. And you’re done! Easy peasy! Now trim the edges if necessary so it fits into your frame. (If the frame is too big you can create a border with a piece of paper that fits the frame. 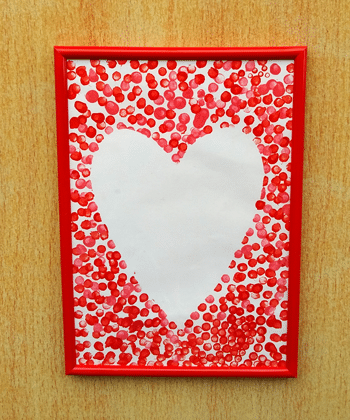 Stick your artwork onto the paper and then put into the frame.) And there you have a heartfelt gift! 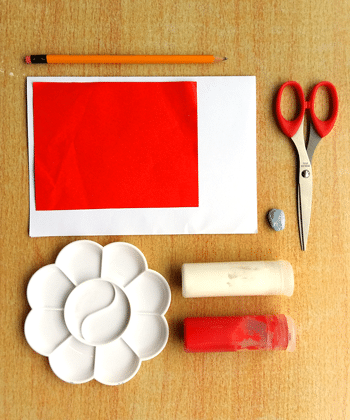 If you enjoy doing art and craft activities at home with your kids, why not try an ActivityBox subscription? Each month you receive a new ActivityBox that includes fun, hands-on activities for kids age 3 – 8 with step-by-step instructions and all the materials you need, delivered right to your home.